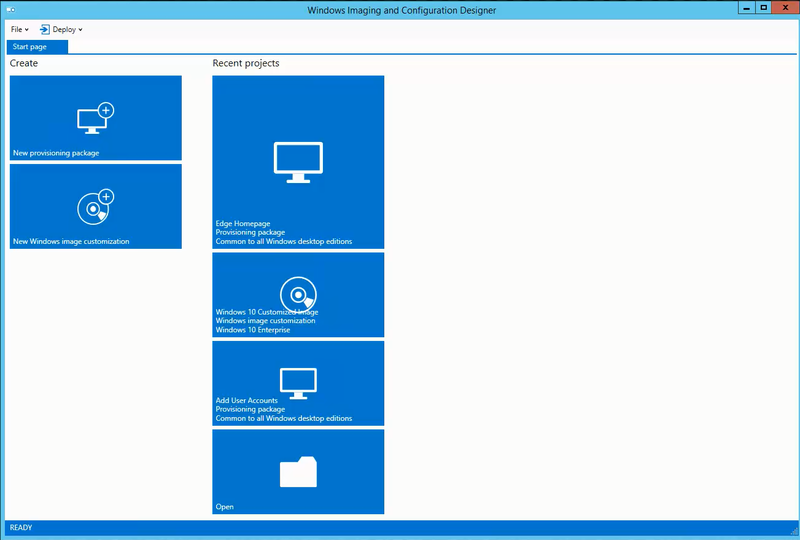 July 31, 2015 July 31, 2015 / Adam E.
In this post I am going to talk about (and show you) how to create and apply a basic Windows 10 provisioning package that has been created with the Windows Imaging and Configuration Designer. 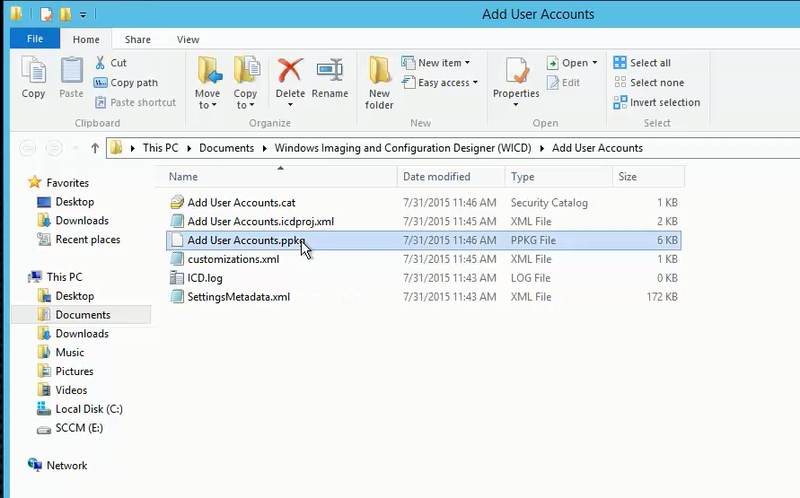 The WICD tool is a part of the Windows 10 ADK and can be downloaded here. 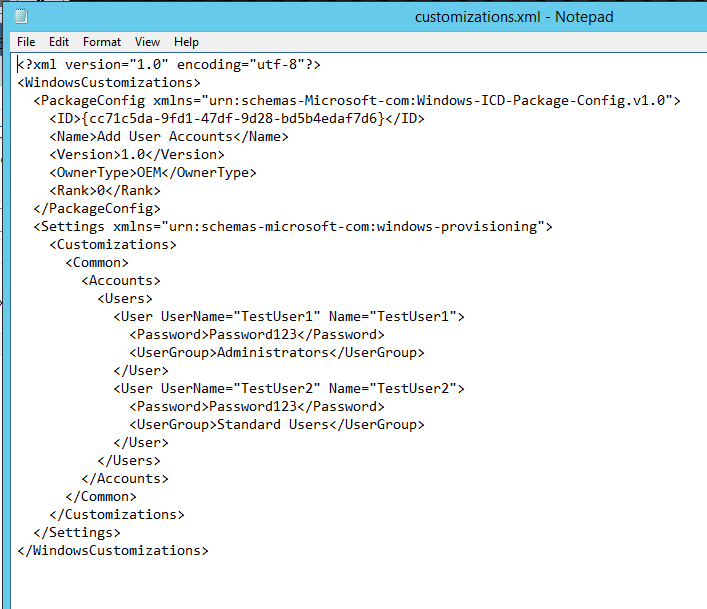 After installing and launching the WICD tool, you can then proceed to start creating provisioning package. Once we have finished configuring our settings, we can save and then export our project. Once we have saved our project we can take a look at the output files. Once we have copied the .ppkg file to our Windows 10 device and run it, we should see a similar notification stating that a provisioning package is going to be applied. This should run very quickly. Once it completes, your new settings will be in place. This may require a reboot depending on the settings that are being applied. If you would like to see all of this in action, please take a quick look at the video and I get into a bit more detail. Hey! 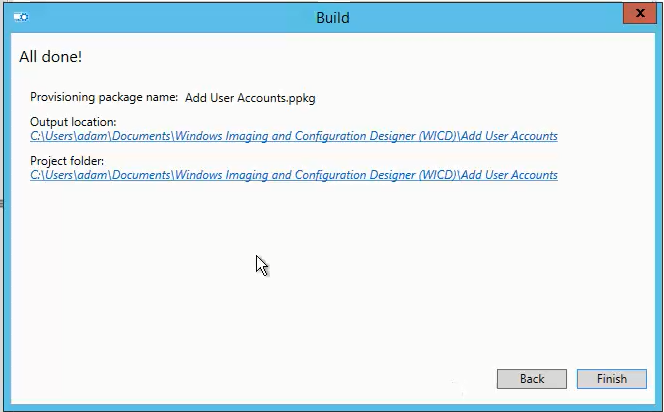 Checked today with Windows 10 1607 edition of the ADK, and it looks like the option to apply a provisioning package to an existing boot image was removed from the WICD wizard. (Wicked Wizard, lol). Know anything about this? Hey Man. So sorry I missed this comment and I’m replying half a year later. Totally didn’t ignore this on purpose. If you’re still messing around with the ICD, maybe some of these posts will help out. So sorry again, especially because you’ve helped me before.